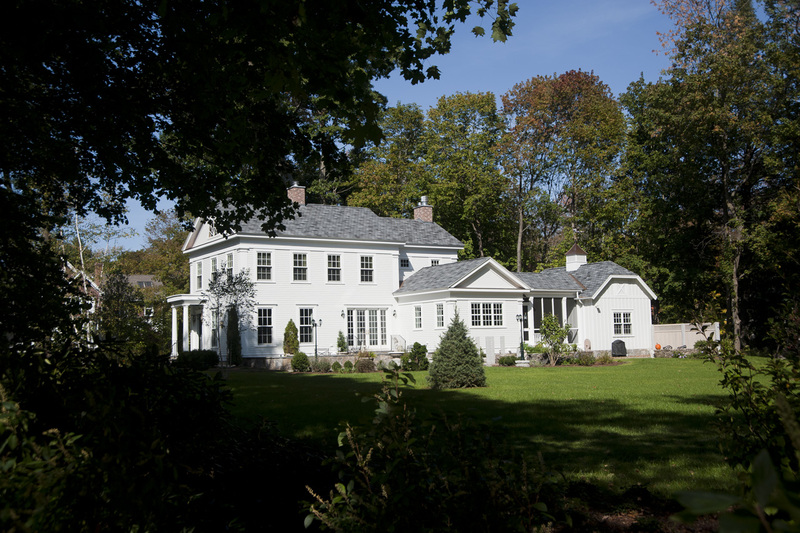 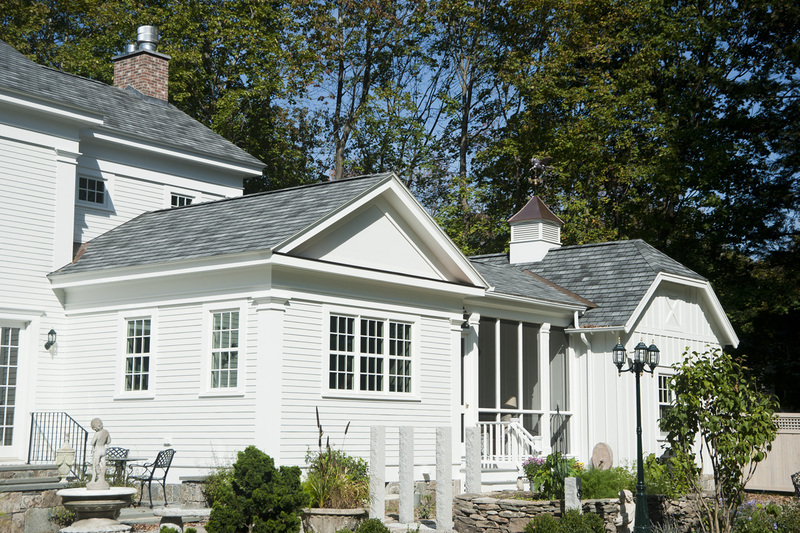 New residence on prominent one acre lot within the Lenox Historic District. 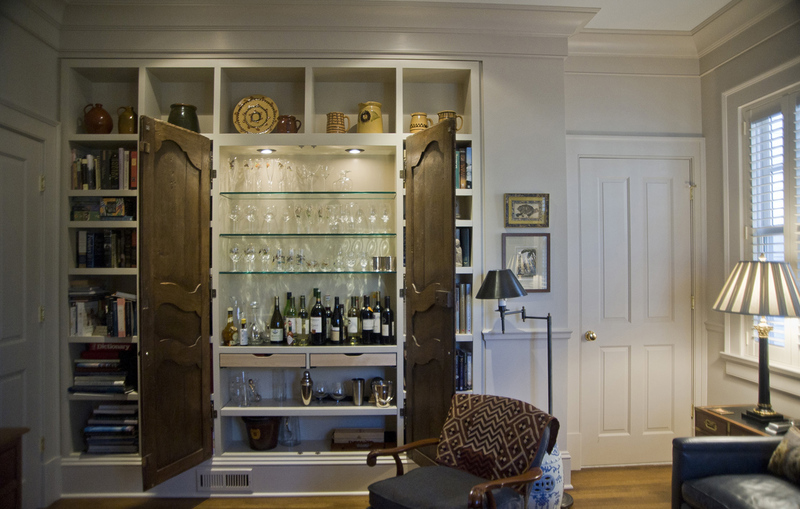 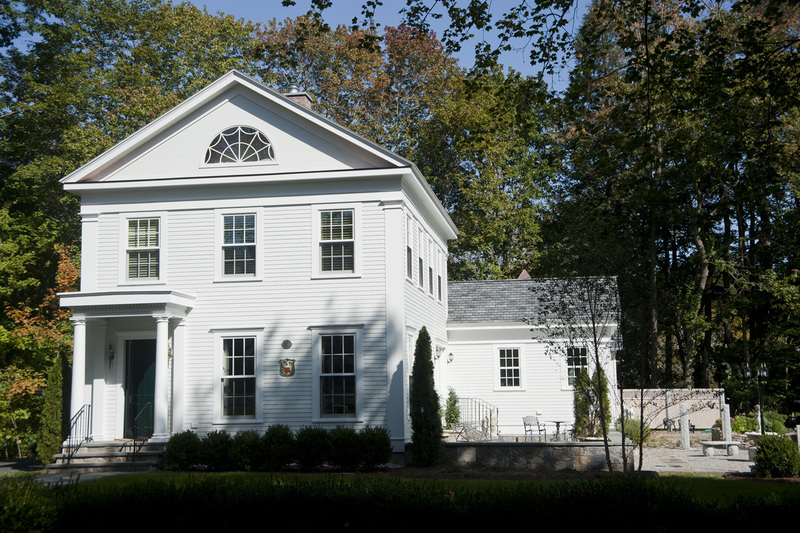 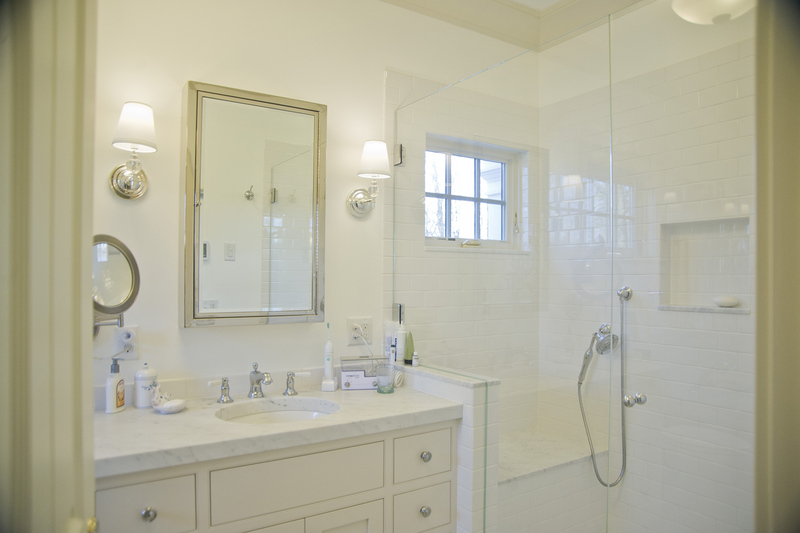 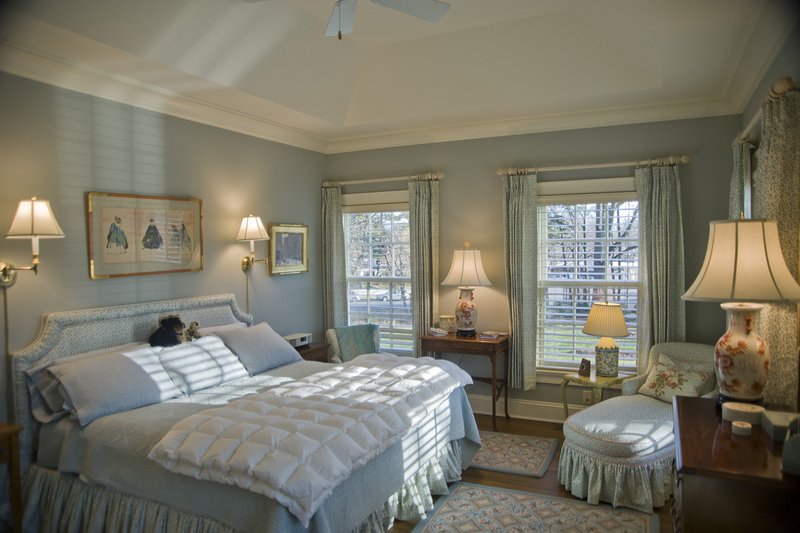 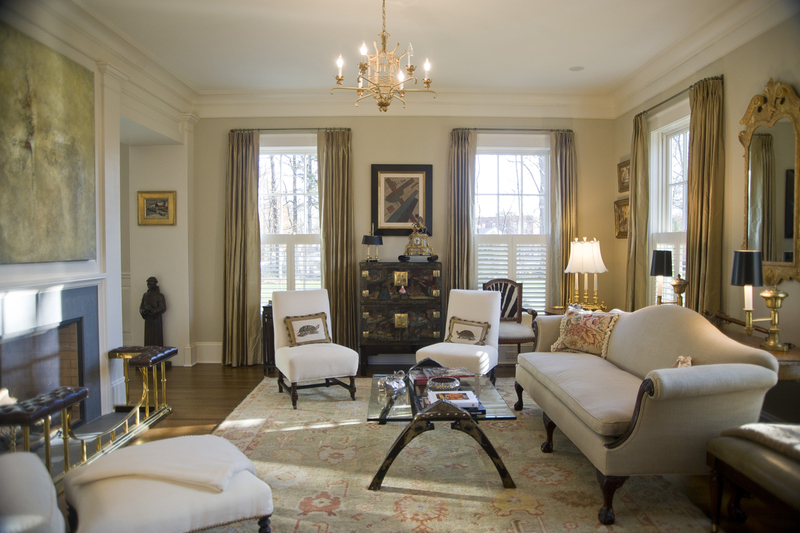 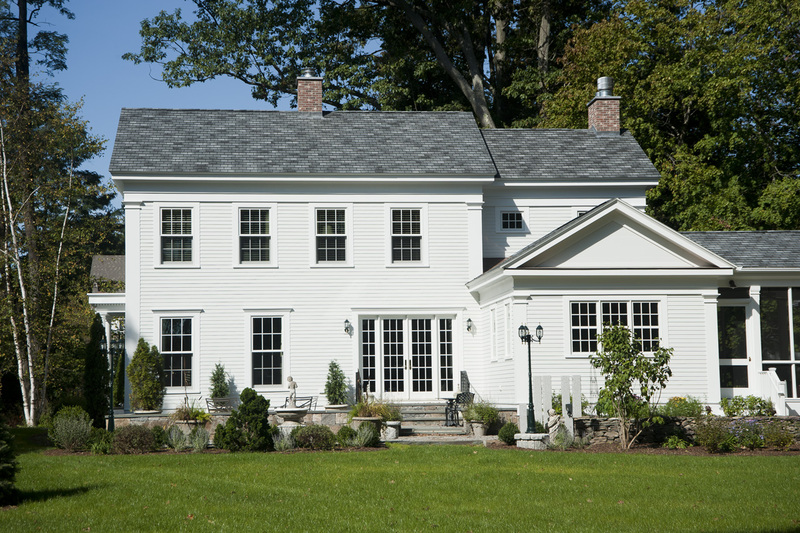 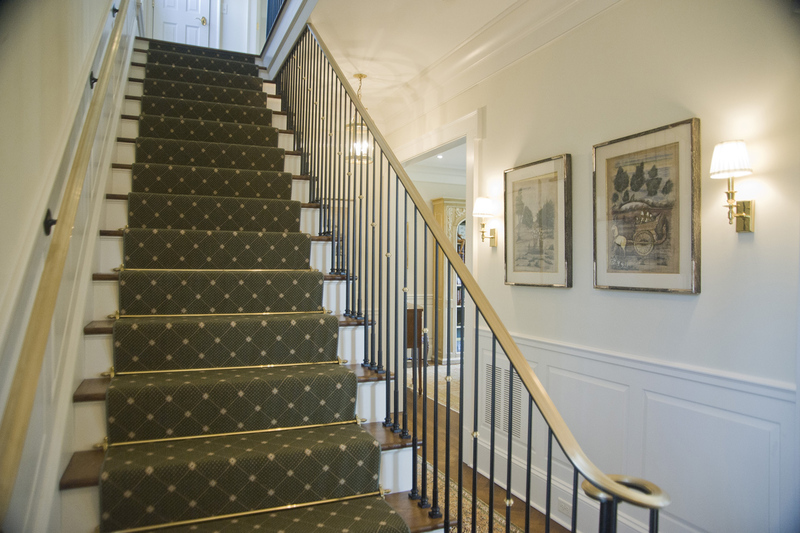 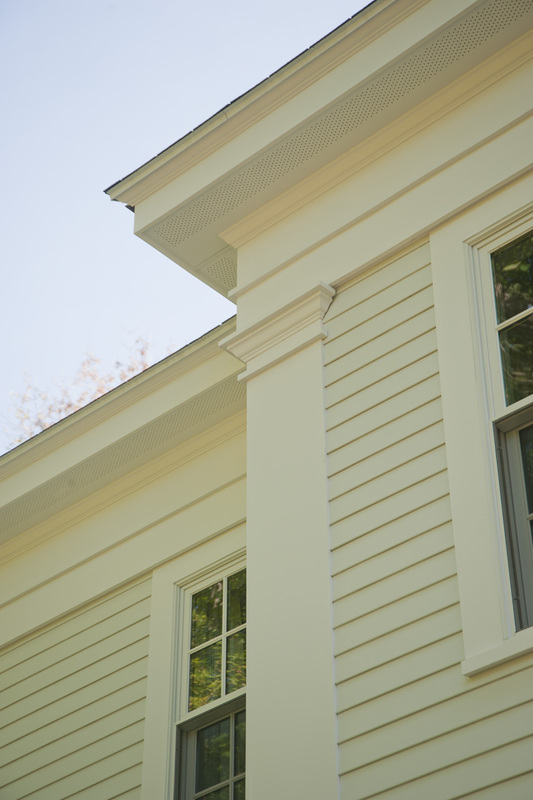 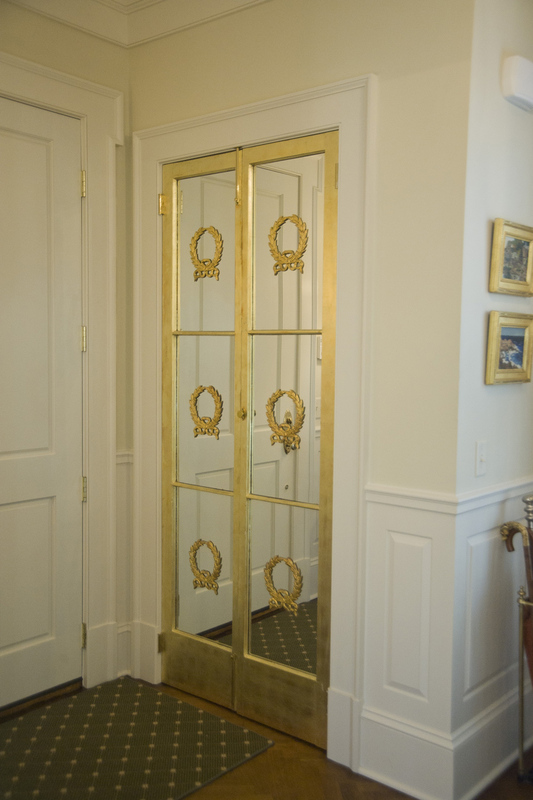 The client and architect started with the concept of a Greek Revival house both elegant and pristine in its detailing. 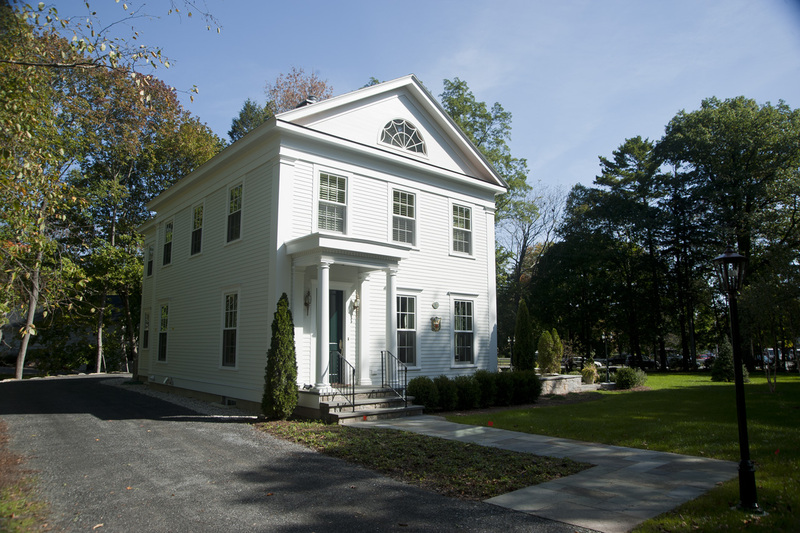 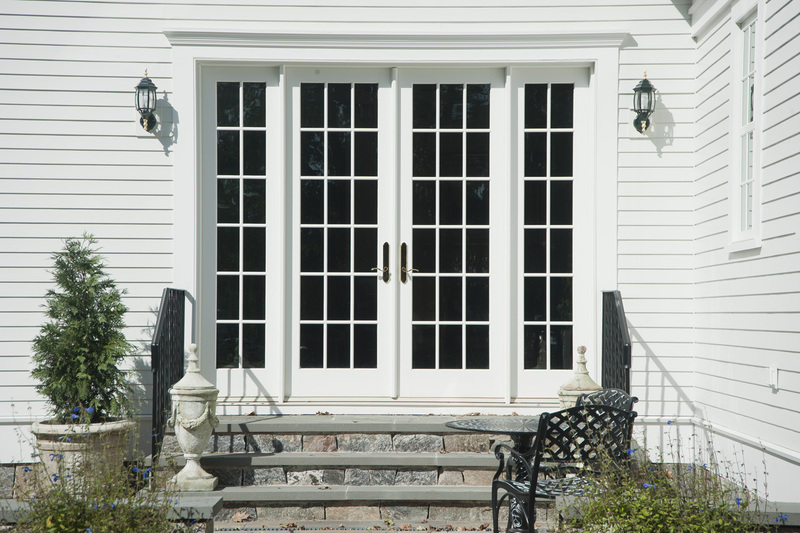 The front façade features a traditional pediment, half round window, and small front porch with round columns and dentil. 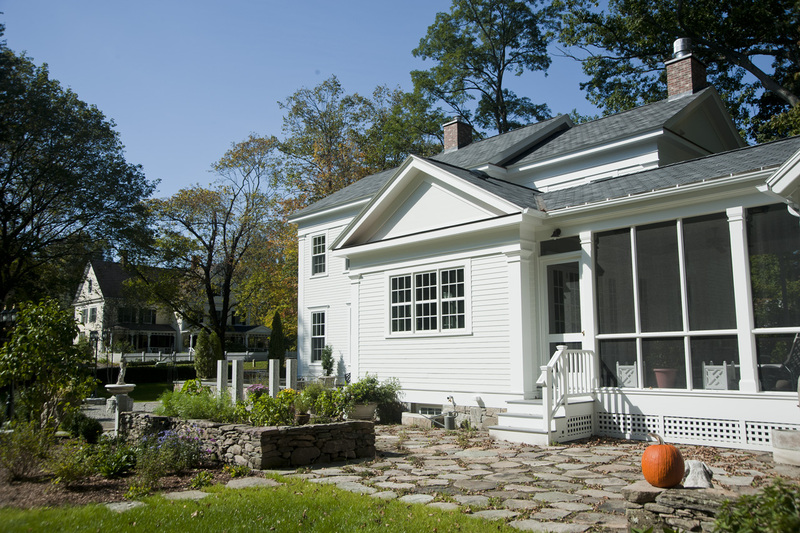 The house was designed to appear as if it was expanded organically over time with a rear ell, a kitchen wing, and then a one car garage at the back. 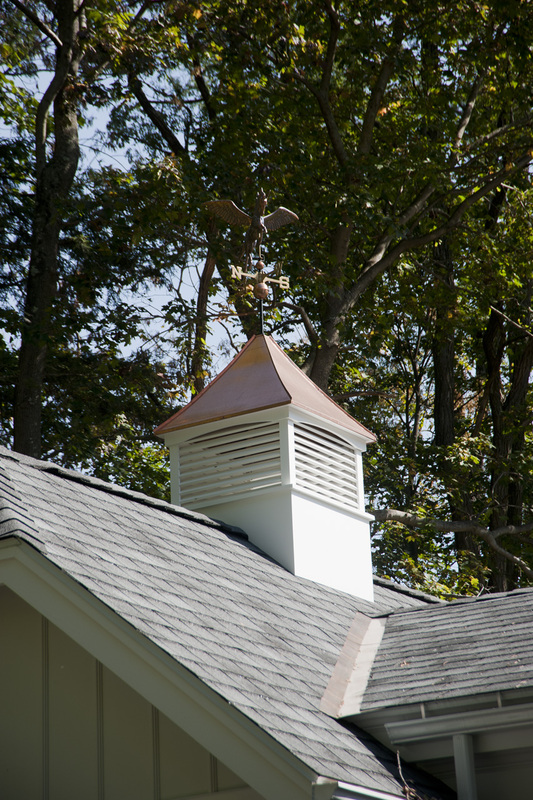 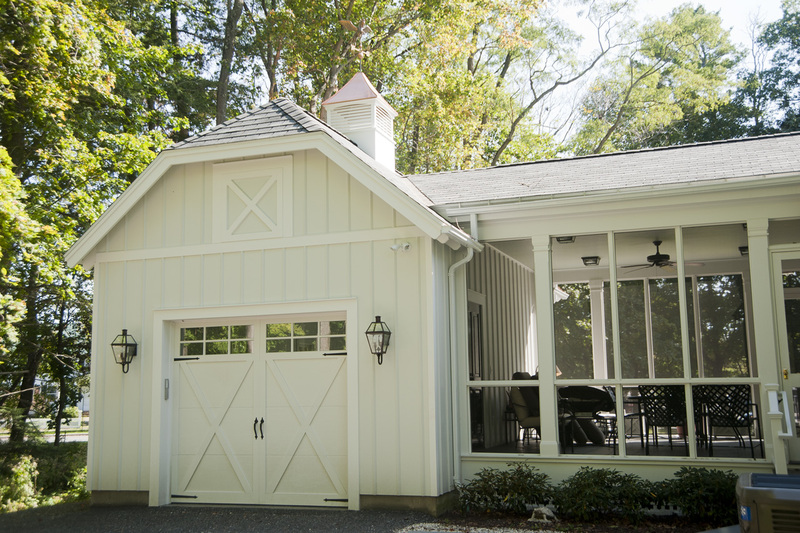 The garage was detailed with board and batten siding, a cupola, and modified hip roof to blend with neighboring 100 year old carriage barns. 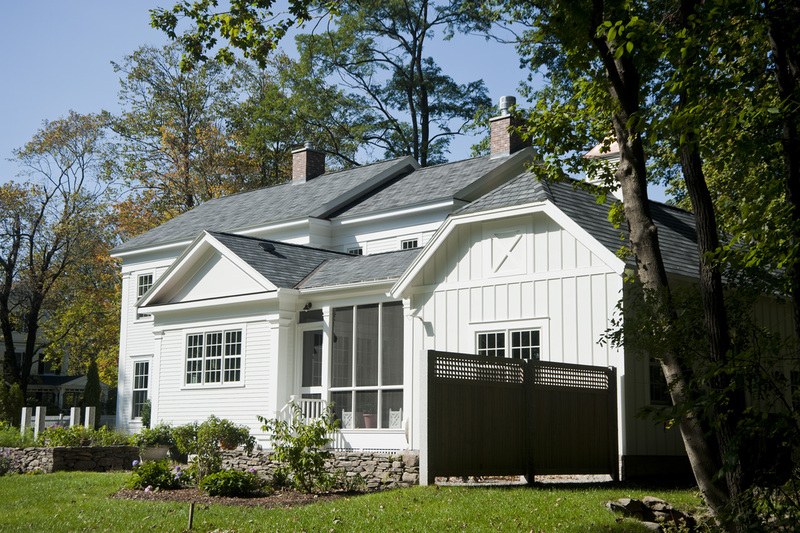 It also very clearly differentiates itself from the house, yet is connected by an open air screen porch structure which provides shelter entering the house and for outdoor dining. 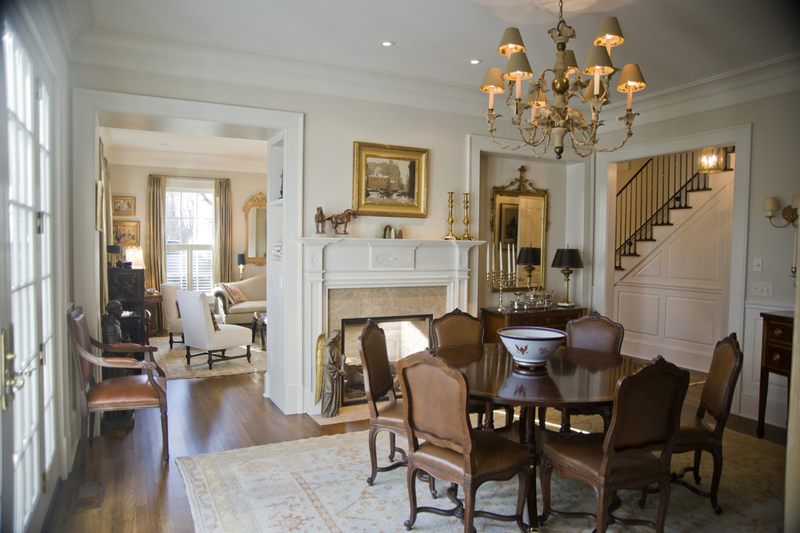 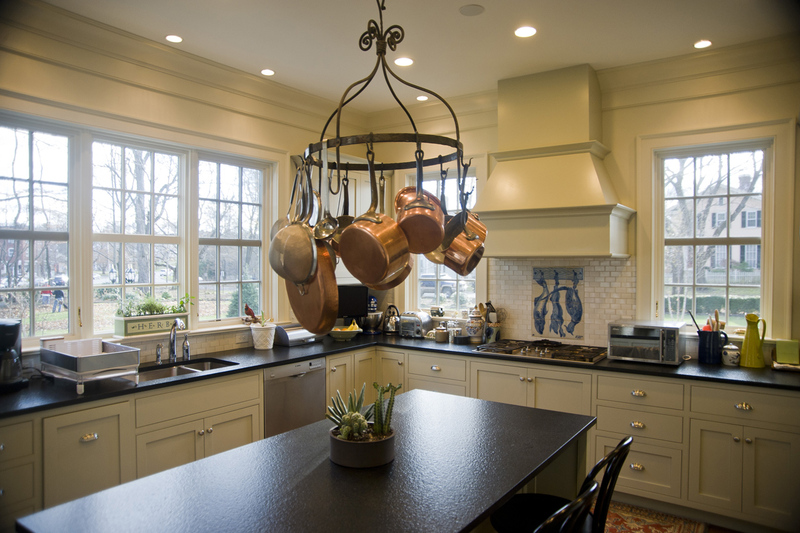 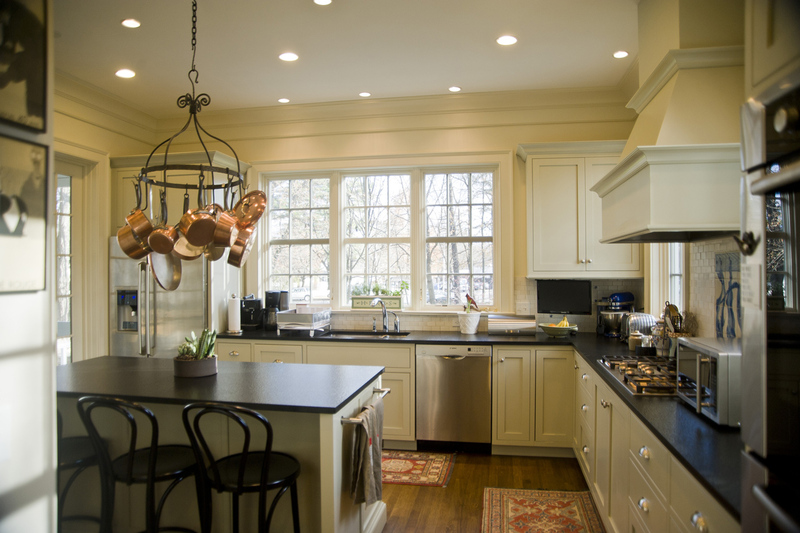 We also worked with the client to design interior finishes such as elaborate crowns and casings, custom kitchen cabinetry, raised paneling, herringbone floors, and traditional marble tile bathrooms.